Well-known for their incredible utility, kukris have remained a favored tool throughout central Asia. The Tactical Kukri Machete is a superb example of this timeless design and is well-suited for nearly anything you ask of it. As is typical of kukri machetes, this model features a curved blade with a narrow base, a wide center, and a fine pointed tip. This allows for its use in thrusting strikes, chopping, and carving, making it a supremely versatile tool. Stainless steel is used to craft the blade and it features a stone wash finish. 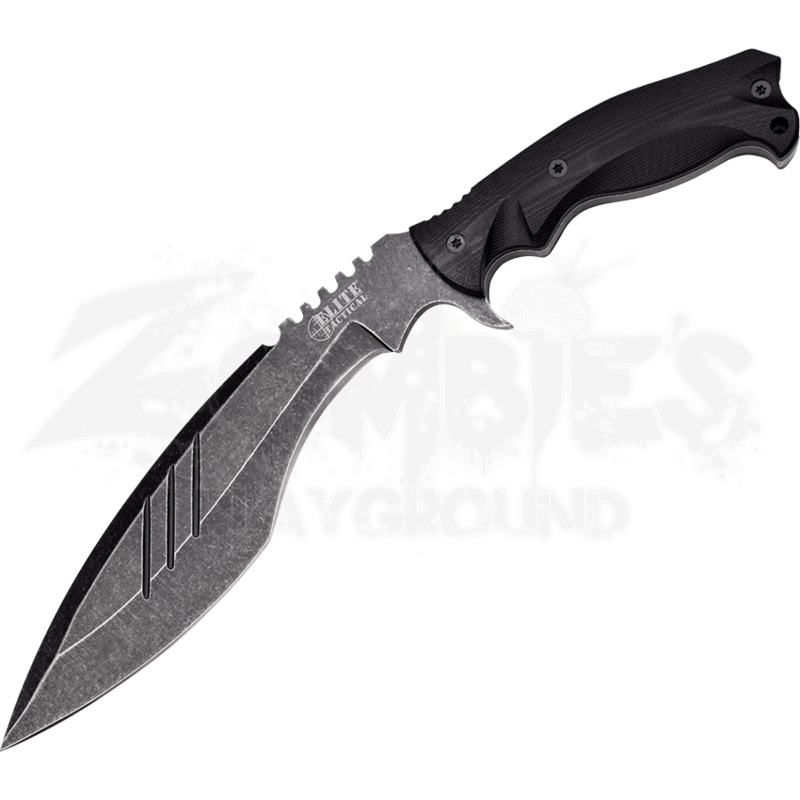 To enhance the durability of this design a black G10 grip is used. 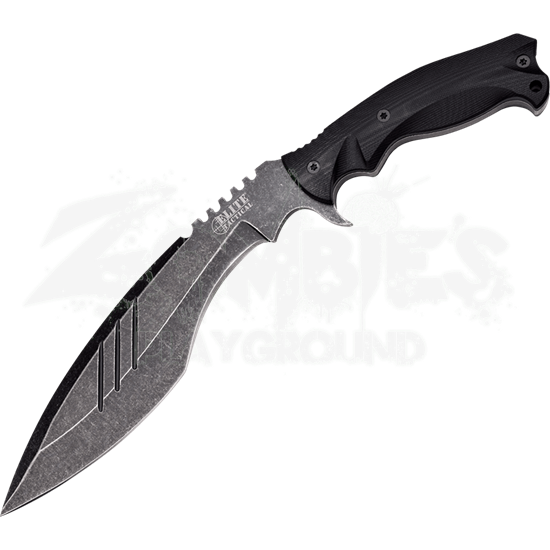 Included with this machete is a black nylon sheath to allow for its easy and safe storage. Bolster your collection of survival equipment with the supreme versatility of the Tactical Kukri Machete.